Can We Live Happily Underground? 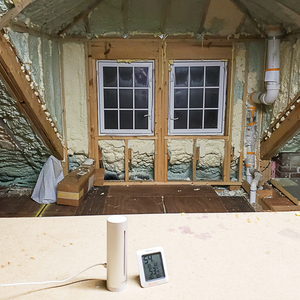 Advocates of passive annual heat storage construction say houses remain comfortable year round by tapping into the heat-storage potential of the earth. Critics point to higher construction costs. (Illustration from John Hait's Umbrella Homes). Earth-bermed houses built with the Passive Annual Heat Storage (PAHS) approach are a little off the beaten track for most builders and prospective homeowners. These houses go back a bit: John N. Hait described the construction of an early “umbrella house” in the 1980s. As unusual as they may be, PAHS houses have their advocates. One of them is Laurel Davison, who is planning to build one in Missouri on a gently sloped lot with an unimpeded southern exposure. In a Q&A post at Green Building Advisor, Davison outlines the basics of her proposed new house: a shell made by Terra-Dome Corporation, heated mostly with passive solar with a minisplit air-source heat pump for backup heating and cooling, and a variety of energy saving electrical appliances. Davison sees several advantages to this approach, including little to no required exterior maintenance — not something she’d get with an above-ground house — and protection from tornados, always a threat in this region. The merits and pitfalls of this type of construction are the topic for this Q&A Spotlight. 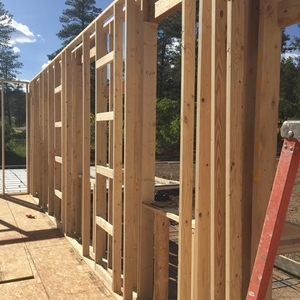 Elements of energy-efficient construction are already well known, Holladay adds: a compact house shape, not too many windows, a tight building envelope, and lots of insulation in the ceiling, walls, and floors. While it’s true that underground houses eliminate most exterior maintenance, the cost of waterproofing details are likely to be higher than maintaining siding in conventional construction. Insulation should be located in the shell of the building, not located some distance away from the house as is the case with a PAHS house, Holladay adds. And if tornado protection is a concern, an option worth considering is building above ground with insulated concrete forms (ICFs). Bruce Lepper says he is building his own half-buried PAHS house with rammed-earth walls in Toulouse, France, a process he describes in his own construction blog. Lepper was convinced to try the building approach by someone who’s lived comfortably in one for years. “He says it’s the most comfortable house he’s ever lived in, and his neighbor, who ordered a copy from him, says the same,” Lepper writes. He mentions other PAHS success stories, including that of Tom Beaudette, founder of Beaudette Consulting Engineers in Montana, who built one for himself. Lepper also cites the experience of Joe LaCour, who he says converted a 1970s era house in the Pacific Northwest into a PAHS structure (see comment #13 in this GBA post). A big problem with PAHS construction, Holladay replies, is higher construction costs. Because it’s underground, lots of concrete will be required, he says, and that will require waterproofing in order to keep the house dry. Because a large amount of soil around the structure must be insulated, rather than just the building envelope, insulation costs also are higher. Finally, all that extra excavation will mean more spending. “You are wrong with your sweeping statement about PAHS houses being ‘much more expensive than other forms of construction,'” Lepper says. “That’s like saying that rammed earth houses are expensive. They are if you have them built by a professional in California. Earth-bermed houses need no more waterproofing than the typical basement or underground garage, Lepper says, and the earth surrounding a PAHS house is protected by a waterproof, insulated umbrella. “Your next assertion, that ‘you’ll need more rigid foam because you’re trying to heat the whole neighborhood’ makes me wonder if you are really interested in a serious discussion about PAHS (which is what Laurel was asking for),” Lepper addis. “This remark, and your vague reference to ‘physics,’ seem to indicate that, despite the evidence from homeowners, you think heat cannot be stored in the vicinity of the house and is just going to dissipate around town. “If that was the case those homeowners would be shivering for six months of the year. Why do they say their house is the most comfortable one they’ve ever owned? “Is Hait a crackpot, or could he be the genius of the insulated umbrella?” Lepper asks. Davison is looking for specific recommendations in key areas: the specs of the insulating and waterproofing membrane over the soil surrounding the house, and the ventilation the house will require. But GBA reader Brendan Albano suggests she is looking for answers in the wrong place. For advice on the membrane, Albano says, go to the company supplying the components for the shell. For ventilation advice, consult someone who’s familiar with PAHS construction rather than the third-year civil engineering student Davison has been speaking with. Read Malcolm Wells’ book on earth-sheltered construction, Albano advises. “And just to be clear, I’m not trying to discourage you from posting here, just pointing out to be cautious about the information you receive if you are asking for experts in one subject (standard above-ground energy efficient building, and off-grid living in these sorts of buildings) for advice about a related but different subject (below-ground PAHS energy efficient building and off-grid living in those sorts of buildlings),” he says. Stephen Sheehy has one additional thought: recouping costs through the sale of a PAHS house might not be very easy. 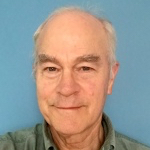 Malcolm Taylor adds that PAHS construction is likely to remain a niche building technique, if only because it requires at least a large suburban lot and is unsuited to urban or multifamily construction, which makes up the bulk of the housing market. Having toured the Terra-Dome website, I have to admit that some of their homes in the photo gallery are pretty intriguing. That’s the Hobbit in me, and I don’t say that sarcastically; there is something comforting and cozy about any earth-bermed home. And in some ways, depending on the specific design of the home, you are essentially building a walk-out basement home. Ground-coupling. This approach — inherently cooler in summer and warmer in winter — just sort of rolls off the tongue. But it’s damn near impossible to accurately model this to get insulation levels well-tuned. Overheating and underheating when diurnal cycles and the sun and clouds don’t cooperate may well end up being the rule and not the exception. And whether or not we can accurately model ground-coupling, installing a radiant floor heating system that is ground-coupled (with no insulation underneath the coils) will heat the ground below more efficiently than the living space above. The need to be mistake-proof. 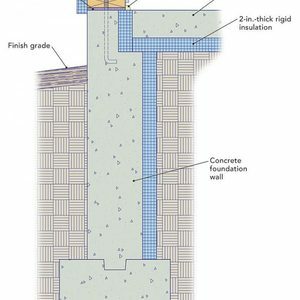 With so many complex waterproofing details buried underground, you pretty much get just one chance to get it right. Any home benefits from quality of design and construction, but this approach seems to me to require it. Durable but inflexible design. Depending on the design — just how much of the roof is actually underground and how many interior walls are structural concrete — you had better get the size of your home and family perfectly matched, and you had better anticipate all the intended uses. Retrofit and addition options will be more than just limited. Cost. I took a quick look at the pricing sheet for Terra-Dome. It does not start off well: “…Insulation, waterproofing, drainage, and backfill are not included in the construction costs.” It scares me that while other per-component costs are included in the price sheet, something as essential to the design as moisture management is not included, even in a per-square-foot range of cost. Warranty. With this type of design and construction I would expect a warranty to be front and center on the website. I searched around quite a bit and found no discussion at all of system warranties. Here is the good news: This GBA Q&A Spotlight blog and the Q&A thread that inspired the blog mean that Laurel Davison has a ton of information and insights to make her eventual design and construction much more successful. How much tornado protection is given by ICF construction? 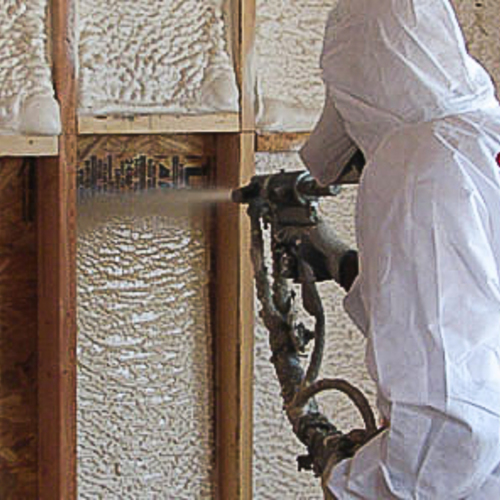 To build a tornado-resistant house, specifying ICF walls is only one step. 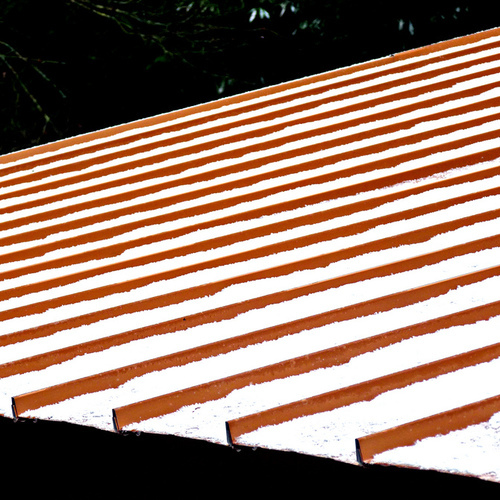 A designer also needs to think about specifying windows that are rated for high-wind areas, specifying details for securing rafter tails or roof trusses, confirming that roof sheathing is well fastened, specifying water-resistant roof sheathing (for example, taped Zip sheathing), and choosing a wind-resistant roofing. 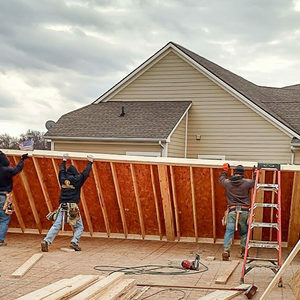 Building a tornado-resistant house will require more expensive details than are used for conventional construction -- whether you build below grade or above grade. Thats very interesting, i am reminded of the GBA article a while back about building disaster resistant housing which is what prompted my question. Are there windows that are low U factor and high wind resistant? Perhaps something in a U0.2 or better? BTW has anyone looked into radon concerns in earth-bermed houses? Andersen brags that its A-series coastal windows are "The most energy-efficient coastal products we ever offered." Andersen offers triple glazing as an option for these so-called coastal windows. Either way, the idea has always held an attraction for me, too. RMI headquarters in Snowmass, CO is a good example of a high thermal mass, earth sheltered building. I do not believe they use earth tubes, but do use the high mass to obtain a very long heat-discharge rate that keeps temperatures very steady. Saleability might be an issue in that one will have a far smaller pool of possible buyers. At the same time, advertising through various social media has become far cheaper and you might find buyers or short-term renters (Air B&B, for example). If you install a radiant-heat system, perhaps one should install it in a small, insulated section of floor...like at the kitchen sink or in the bathroom. A well-insulated house won't need much heat, so a small percentage of the floor area should do fine. Need to be mistake-proof? Yep, that IS an issue that needs addressing, but I can think of at least a couple systems that are fairly forgiving. The fact that is is darned hard to modify one's place later is another. I love the underground homes of the opal miners in Coober Pedy. They just mine out a new bathroom or bedroom.. but they do not have to deal with water or insulation, so can modify easily. Earth sheltered greenhouse type buildings also have a lot of popular interest. I understand why that would be interesting, but there seems relatively little interest in superinsulated greenhouses, with either small windows or artificial lighting. Actually, there is growing interest in indoor agriculture (growing plants with artificial lighting). See, for example, the recent New Yorker article on the topic by Ian Frazier, The Vertical Farm. That said, I'm not sure whether the topic has much relevance to this Q&A Spotlight on Passive Annual Heat Storage homes. I've always loved the FLW hemicycle house, there's many pictures on the internet. It could be built in a modern way with extra thick ICF (R38 or more) on the earth berm-ed sides. It could even be built on flat land with the earth built-up on the north side. Then a super insulated slab tray for thermal mass storage. The roof could be made economically with wood trusses and blown-in cellulose, if they can be made tornado resistant, or check out an ICF floor/roof system. The beauty is you also get north side clerestory windows, which would give a nice ambient light to the northerly rooms and natural cross ventilation. For a home office, you avoid the glare of south only windows. It would be relatively conventional to build at a reasonable price, and it still has the coziness factor to it. It would probably have better resale value as well, if that's an issue. The roof and south wall also provide PV solar power installation. I guess beauty is in the eye of the beholder, because I think that is by far the ugliest Wright house. Built in the 50s, it needs extensive repairs, like many of his houses. And the house I just sold, designed and built by some nameless farmer during the Washington administration, is still standing. I love to look at many of Wright's designs, but he could have used some engineers. Frank Lloyd Wright may have been a great architect, but all of his buildings were deeply flawed. Many included structural elements that failed quickly. Almost all of his roofs (and some of his walls) developed leaks. And he knew almost nothing about energy efficiency. His Hemicycle houses (like most of his houses) had large expanses of single-pane glazing and very little insulation. I can't let Martin's grumble go by without a response. "Frank Lloyd Wright may have been a great architect, but all of his buildings were deeply flawed." The two assertions seem to be mutually exclusive. Great architects do not produce deeply flawed buildings: if you truly believe the second part the first cannot stand. "Many included structural elements that failed quickly." FLW was actually pretty good on structure. He sometimes scared people with his more adventurous designs, such as the dendriform columns of the Johnson Wax building. I'm sure you're going to quote the infamous sagging cantilever at Falling Water. Wright's design was critically modified by an engineer brought in by a nervous contractor. It was the engineer's design that was built, and it was the engineer's design that failed. The curved, stepped, doubly cantilevered RC roof over the walkway up to the guest house, barely three inches thick, was considered too unimportant to "correct". Built exactly to Wright's design, it still stands eighty years later. "Almost all of his roofs (and some of his walls) developed leaks." This is gross exaggeration. There were indeed some notorious failures: the Johnson Wax building, noted above for its adventurous and entirely successful structure was also noted for its equally adventurous but leaky roof, which has been since corrected. But over his entire career Wright designed many hundreds of homes which never had unusual roof problems, and he was an early proponent of ultra-wide overhangs to protect the walls below. "And he knew almost nothing about energy efficiency." You are aware he died in 1959, and this could be said of practically every architect and builder working during his lifetime? In fact, especially in his later career, Wright paid more attention to solar orientation, solar shading and daylighting than almost any designer of the period. "His Hemicycle houses (like most of his houses) had large expanses of single-pane glazing and very little insulation." Insulated glass was not generally available until twenty years after the construction of the first Hemicycle House and the insulation was above standard for its time. It was an exemplar of passive house design from the time before super insulation and high performance mechanicals were available, and it's been estimated that the solar factor replaced 53% of the winter furnace load. You will be happy to know that the glass was upgraded to double pane and the insulation enhanced in the 1980's. I'm surprised nobody mentioned mortgage financing. It's almost impossible to find financing for an earth berm house. Just a quibble about the use of the word suburban which has cropped up in this discussion. I believe it would be more correct to use the word 'exurban' to describe a typical location for this kind of project. Suburbs typically do not have the lot sizes needed for these homes, and they typically do have the covenants, HOA's and ARB's which would administratively preclude them. "Frank Lloyd Wright's legacy includes famously leaky roofs. The landmark SC Johnson Administration Building, 1525 Howe St., which he designed in 1936, is no exception. The Great Workroom in the center of the building has been likened to a forest with a canopy of trees, formed by the dramatic slender dendriform or mushroom-shaped columns. Today there is a different forest in the room, a maze of iron scaffolding which surrounds the columns. While aficionados of Wright's work sometimes minimize such shortcomings as leaky roofs in his designs, SC Johnson is to fix the problem. A major project is to repair the leaks." "When client Herbert “Hib” Johnson was deciding whether or not to hire Frank Lloyd Wright, he visited the Lloyd-Jones House, a home Wright had designed in Tulsa. Arriving in a downpour, Johnson found that it was raining indoors, too. The floor was dotted with containers strategically positioned so as to catch the drops." "Few would dispute that Frank Lloyd Wright is a giant of architecture. ... I only want to question Wright’s classification as a Great Architect. What prompts this questioning was an article from Preservation magazine called “Holding Up Fallingwater.” It illustrated the structural rehabbing of the terraces and framework of the iconic house that Wright designed in 1936. The lower concrete terrace sagged from level by as much as 7 inches (visible to the naked eye), and when warned by engineers in 1995 of “possible massive structural failure and collapse,” the conservators jacked up the building so it wouldn’t fall apart while they figured how to save the architectural milestone. They also dealt with water leaks in the roof seams, window seals and skylights. The continual water damage had wrought cracking walls, peeling paint, warping doors and rotting artworks." "It's a similar story for the 4,230-square-foot Millard House, erected for $17,000 in 1923. The Pasadena, Calif., home, which Mr. [Frank Lloyd] Wright fondly called "La Miniatura,'' is priced at $4.495 million—down from $7.7 million in 2008. The house features walls of concrete blocks, many with a cross pattern that lets light through. Owner David Zander, a producer of television commercials, said he poured nearly $3 million into renovations before putting Millard up for sale. "I thought it would go right away,'' he said. "Aesthetically, it's stunning.'' But the house is prone to leakage during heavy rainfall, partly due to the experimental construction, said Crosby Doe, its real-estate agent." Frank Lloyd Wright's response to a client who phoned him to complain of rain leaking through the roof of the house onto the dining table: "Move the table." This is one of the old threads: http://forums.finehomebuilding.com/breaktime/energy-heating-insulation/passive-annual-heat-storage. I have some concerns about moisture accumulation, but see absolutely no reason why it should not be considered a viable construction method. Yes, care needs to be taken at every step of the way--what else is new? From what I recall it takes a couple of years for the earth between the building envelope and the "umbrella" of recycled foam (covered with used carpeting to deter digging rodents) to reach stasis, where summer solar gains load the thermal mass of the soil, which is then released over the winter. The amount of solar heat gain can be tailored to the situation, and a backup heat source is necessary. 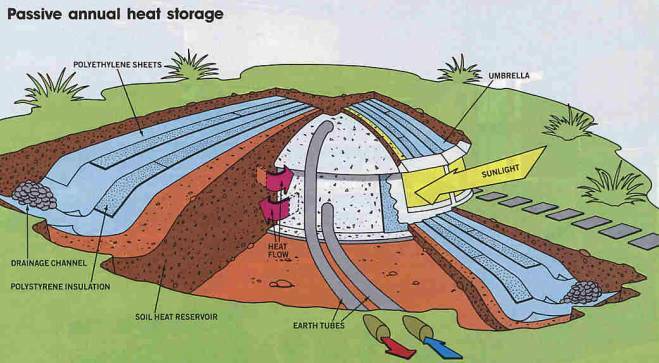 I would not use earth tubes, but an HRV as in the example above. I use all sorts of construction techniques for above-grade building, and someday would love to build a Hobbit House--and if I do, I would definitely consider the low-tech, DIY-friendly PAHS system. I can sure see the appeal. I sat through the interminable first episode of the Hobbit movie just to see Bilbo's house - but I can't see how PAHS can be seen as being DIY friendly. All the critical parts of the build - the design to get the amount of heat storage correct, the concrete structure, the waterproofing and water management, the provision of services and venting - are all well beyond the domain of most DIYers. I look at DIY friendly buildings as requiring few specialized skills and incorporating forgiving building assemblies where the odd error has few consequences. PAHS seems to me to be the opposite of that. I've been mystified by the attraction of the PAHS approach. Evidently I underestimated the number of J. R. R. Tolkien fans out there. I'm an architect in NH who has been living in an underground Malcolm Wells home since 1999 - and we love it. It was built in 1977 as a direct gain passive solar structure with concrete slab, crawl space, concrete walls, and concrete roof. It's built into a south-facing hill, triangular shape, the hypotenuse being the south wall, all glass doors. It is not a PAHS design. All the points above are valid - positive and negative. First - get it right before you back-fill. There's a lot to that. My house has a membrane roof which does not leak. It is the original membrane of 40 years ago. It gets no UV so doesn't degrade. Do it right the first time then leave it alone. But the clear span concrete plank roof gives lots of flexibility for interior renovations with 24' width of no bearing walls. The crawl space is invaluable for mechanical, plumbing and electrical upgrades. Peter Yost I've been to your seminars and know exactly what you're talking about as far as modeling - WUFI doesn't work here. This is more of a sledge-hammer approach, common in the '70's passive solar homes. On sunny winter days we have to open doors or we get too hot - not a bad problem to have in New England - it gives us an opportunity for lots of fresh air. On not so sunny days we are ground coupled on all but the south side so 55 degree earth is the starting point for heating and cooling. Yes, lots of glass on the south side loses lots of heat - it's balanced (somewhat) by lots of gain on sunny days. In the summer there's an awning and no direct gain. No, we can't sit back and let the house control itself and maintain an even temp, we have to know when to open and close doors. But - when the power goes out for days (weeks) at a time the indoor temp never drops below mid 50's even in the coldest weather. Passive survivability. We replaced the old oil burner with air-source heat pumps - they work great. The house needs ventilation, especially at the north apex of the triangle where humidity can be a bit of a problem - but not dastardly. As for PAHS, it seems like a lot of work and material for not much more advantage than I have with direct coupling. I'd want to see an example in operation about this time of year to see if there is any heat left in the insulated earth. My concrete walls and roof act as a flywheel to help maintain even temp. And you're in a more moderate climate zone in Missouri. We conventionally financed our home. Fannie Mae Lender Letter LL-2014-02 states, "Unique properties, which include various construction types and techniques, are also acceptable, including log homes, geodesic dome homes, and berm homes." Most bankers, appraisers and brokers are unaware of this clause and you'll need to bring it to their attention. Were I to build it new there are a few things I'd do differently, but not many. Good luck, Laurel !! Here in the mountains we sometimes end up with more than one earth-burmed basement story below the main house. I don't see why not building a traditional house on top of these stories would change anything at all. Many have wine cellars and 'prepper vaults' with separate ventilation systems and exits, built at great expense due to rocks. We worked on a earth home that was similar to your photo that had maybe 3-4 feet of earth and trees growing out of the very green roof. The setup was earth, some ancient landscaping fabrics, some gravel, some (maybe 6") of foam insulation, then the membrane on top of a 6" concrete and steel pandeck sloped to drain towards the south facing window wall. The main roof, even around the skylights, had never leaked, but over the last 35 years the earth had slowly creeped into the gutter drains at the edge of the roof, clogging them and allowing water to spill over the edge onto a typically framed window wall. Remember to unclog your gutters folks! "Engineering" wise, if you can waterproof a swimming pool you can build an underground house. You will still need climate control and fresh air just like you would in any concrete home. Preppers and hobbits aside, we do it all the time with basements and icf homes. That said, a lot of basements leak when you don't do it correctly. 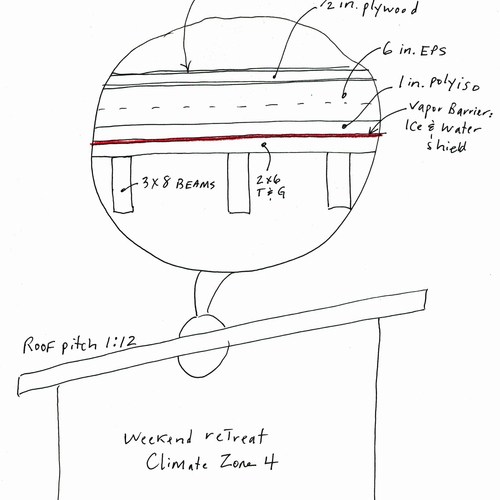 We engineer homes to 200+mph winds as well... they dont have to be domes but it helps. Cars slamming into them becomes the issue, and going underground or having sand bags and earth around them obviously helps with that. Don't vent through earth tubes. I have also never seen one that was not disconnected and moldy. Like most old passive solar strategies, I think this is trying to solve a problem that no longer exists. 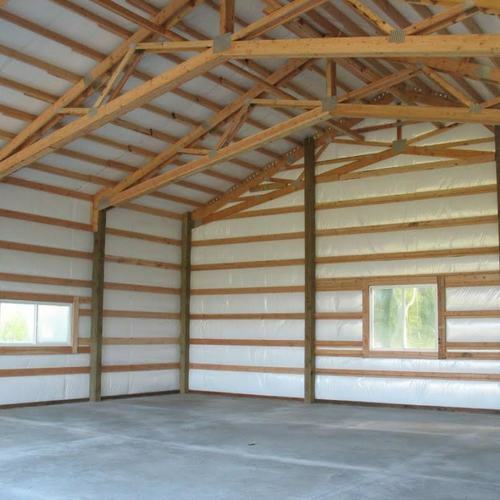 We now have easily available adequate insulation and adequate windows at adequate prices. Yes, 10' of dirt at R.5 per inch might give you R-60 when it was dry, but if it cost you more than R-60 to dig and waterproof... was it really worth it? If it is to you then go for it. I am looking at doing a green roof for my next home, but engineering a roof for 100+lbs per square foot of dirt plus 35lbs of snow suddenly turns my roof into a concrete and steel parking garage instead of a simple #2 spf 2x12 vaulted ceiling. How much more is it worth to look like a cool hobbit instead of a frugal accountant with a underground 'wine celler'? The Frank Lloyd and the hippie in me feels one way, but the wallet usually feels the other. Usually. I am excited to see some discussion on earth sheltering on this site! My high school physics teacher built his own earth-sheltered home (3 sides bermed in south-facing hill, conventional roof). I hope to get a chance to talk to him again (been about 18 years since I last saw him...) because I now am interested in possibly doing something similar. It seems to me that in addition to the smaller delta T, having just one exposed side would be very beneficial. But, the concerns already mentioned concern me as well--particularly waterproofing and accurate modeling to balance solar gains with thermal mass. It is also frustrating (and concerning) how little literature there is on earth-sheltering produced in the past 30+ years. "Earth Sheltered Housing Design" by the University of Minnesota is excellent in content, but it's hard to say how accurate their late '70s models might be. Furthermore many current builder's websites for earth sheltered are amateurish, or they are rife with old photos, or they contain some of the same photos as other builder's sites without any stated affiliation with that builder. The site I am most impressed with is http://www.formworksbuilding.com/ and I would be interested in what others think of it. I am a bit concerned about finding a contractor to reliably shotcrete such a large convex structure. As far as PAHS goes, I almost purchased the book on it, but after reading the "About the Author" section I could not take it seriously. Intuitively, the idea seems fine, but as others have mentioned, do the benefits merit the costs? I was unfamiliar with the word "prepper," so I looked it up. Evidently it is a colloquial term for a type of survivalist. I've read through many websites, articles, and a few books on (in)different PAHS designs, and so far, I haven't found one that has a convincing (to me) description of how the heat flow and storage will work. I'd love to see one. There are at least four thermal aspects that PAHS needs to address, and one of more of them is missing from most descriptions. The four elements that I look for are 1) How much heat is stored, 2) How is the heat moved into the thermal storage, 3) How is the heat moved into the living space when desired (and prevented from moving when not desired), and 4) How much heat is lost to the surrounding environment. PAHS designs often have extensive calculations on how much heat is stored. It’s pretty easy to demonstrate that many tons of earth can hypothetically store a lot of BTUs. Genuine, useful heat storage has to account for the extraction of that heat. Many descriptions of PAHS heat storage extoll the virtues of having surrounding soil that never goes below 55 degrees Fahrenheit. They seem to ignore the fact that infinite thermal mass at 55 degrees won’t heat a house to 65 degrees (without a heat pump). Yet some PAHS advocates don’t calculate the BTU storage correctly. I visited a PAHS house in Wisconsin, the home of an experienced solar contractor and builder, who had written a book about it, published by a major publisher. This author loved his house, and raved about it. He spoke about the many tons and cubic feet of sand, which stored his heat in the summer, and released it in the winter. As he described it, intuitively, it sounded great. Later, I used his figures, and calculated the actual heat storage capacity. If I remember correctly, he was storing about as much heat as you could with 1,000 gallons of water. Many of us can imagine that thousands of pounds of sand could store a lot of heat from summer over to winter. Yet few of us would think 1,000 gallons of water would be enough to heat a house through the winter, or even through a week of cold weather. We would be right in the second case. On my second point, PAHS designs usually do OK. They have a credible mechanism for getting the heat into the thermal mass. They don’t always calculate well the changes in energy transfer as the heat in the thermal mass goes up, nor the rate of thermal conduction within the thermal mass. My third point is seldom satisfied by PAHS descriptions. A mechanism for getting the heat out of the thermal storage and into the house in a timely way isn’t well-developed. Often, it seems to be assumed that simple conduction between the surrounding earth and the walls and floor of the house will be sufficient for winter heating of the living space. For anyone who believes this, I would ask that you explain to me the following contradiction: Since you are collecting and storing heat during the summer, and using it during the winter, it seems likely that your maximum thermal mass temperature and stored BTUs will be reached in August or September. By the time you reach February or March, both the temperature and the total number of stored BTUs will be much lower. If enough heat will flow naturally from your thermal mass into the home to make it comfortable in February, how is it that you can keep your house comfortable in September, when the same thermal mass is trying to feed more energy to the home at a higher temperature, while the house needs less (or no) heat? Many PAHS designs discount the importance of my fourth point, the heat lost to the surrounding environment. Often, this item is written off as negligible. While a few designs insulate the thermal mass on all faces, most assume that coupling to the deeper earth is an advantage, rather than a liability. In fact, migration of heat from the supposed thermal storage mass into the coupled surrounding earth is massive, in the most common PAHS designs. I would welcome any links to a site or article that can address these four points in a clear, concise, and convincing way. In years of looking, I haven’t yet found one. I think the idea is it makes intuitive sense do just do it and sort out the math later. Of course when the math fails people don't want to admit they sunk a lot of money and failed so they have to save face and convince themselves its working great. Difference of opinion is one thing Martin but selective quotation and sweeping generalizations based on tiny sample size are another. The brief extract from your first link omits the information that the 'maze of iron scaffolding' was a temporary installation to facilitate a major restoration of the roof skylights in 2006 - not bad for a seventy year old commercial building in continuous use, and having nothing to do with the soaring concrete column system which has continued to retained its integrity up to the present day. And I repeat, the Falling Water cantilever was not built in accordance with Wright's design, this is well documented, and its failure should properly be attributed not to Wright but to the engineer who actually designed it. Yes the roof leaks on a small number of his buildings are notorious. Many of Wright's clients hired him to be adventurous and to push the envelope, and it's undeniable that sometimes he got too far out in front of the technology needed to enact the vision. The well-known failure of the Johnson Wax skylights actually prompted the development of silicone caulk by Owens Corning twenty years later. His clients tended to be forgiving of such failings - one is reputed to have said of her leaking roof, 'that's what happens when you leave a work of art out in the rain'. But these were rare exceptions. The vast majority of his designs had reliable roof systems which performed and continue continue to perform perfectly well. Wright designed over 1000 buildings in his seventy year career, 532 were built and over 400 of these are still cherished six decades after his death. This is hardly the record of an architect whose buildings were "all ... deeply flawed". Peter Yost says accurate modeling of insulation levels is impossible. Modeling is just as possible as with any other system, but there's probably only one person who has taken the time to do it, and he certainly can't make a living off it (name supplied on request). As has been pointed out several times, high thermal mass houses are rare animals and do not interest commercial builders. Peter also says that with "so many complex waterproofing details buried underground, you pretty much get just one chance to get it right." On the contrary, if you install a Hait umbrella around your home you will be living in a ball of dry earth. Even if your buried membranes have rabbit holes in them your earth will always be dry because the slope above carries excess water to the peripheral drain and any damp going through holes will be insignificant. What Peter sees as a drawback is in fact the essential advantage, preventing rain from carrying away the heat stored in the earth and at the same time ensuring a dry environment for the home. Malcolm Taylor can't see how PAHS can be DIY friendly: "All the critical parts of the build - the design to get the amount of heat storage correct, the concrete structure, the waterproofing and water management, the provision of services and venting - are all well beyond the domain of most DIYers". As DIYers we are using reinforced concrete post and beam to give structural strength to rammed earth walls, all of which is extremely low-tech and good fun. With high mass construction in a conditioned and stable (under-umbrella) space, design is, on the contrary, far less critical. We are being careful with insulation and air-tightness on front wall and ceilings, and we will have a wood fire for backup and for the 24-month stabilization period, and that's it. With low-mass construction you have more critical design imperatives, ambient temperature being stored mainly in the air. You are obliged to model accurately. David Ely's informative post says that PAHS seems like a lot of work and material for not much more advantage than he has with direct coupling and he'd want to see an example in operation about this time of year to see if there is any heat left in the insulated earth. Fair enough, the lack of sensor data is frustrating to us too, which is why we have installed moisture and temperature sensors under the umbrella and will publish results in our blog, be they good or bad. But we have no reason to doubt the enthusiastic accounts of our rare PAHS contacts, and it seems obvious that an earth store protected from rain and heat loss will have a decided advantage, reducing and maybe eliminating the need for all that heating. We just finished three-quarters of our 20ft umbrella and berms at a total ( mostly DIY) cost of 3000 dollars, using mostly recovered materials such as used winter pool covers and theatre-prop polystyrene blocks. An inestimable advantage of the umbrella in our case is the added protection it gives to our buried rammed earth walls, which in turn give us good hygrometric qualities. Earth walls, at 872g/m2, have approximately 8 times the absorption capacity of concrete (70g/m2). (1) How much heat is stored? (2) How is heat moved to storage? The ambient spring, summer, autumn and even winter heat heat (yes, you can open windows in a high mass house, as David Ely mentioned) move into the earth through the interior walls, which is why open-plan is a good idea in PAHS and why inside doors should be left open when possible. This happens because heat always moves towards colder areas, so every time the inside temperature tries to rise higher than the mass the extra heat is absorbed by the walls. It is essential that this transfer area (wall and floor surface, plus ceiling if the house has an earth-covered roof) is as large as possible because heat transfer is extremely slow. (3) How is the heat recovered and controlled? Every time the temperature goes down in the house the transfer is reversed (eg heat moves to cold), and every time it goes up it does the opposite. No thermostat needed, the exchange is permanent. The store itself is unlikely to overheat, because its heat is moving through the earth at approximately 3ft per month in summer towards cooler areas outside the umbrella. Even when the store is at its warmest in the summer the house is also at its warmest, and heat just doesn't move towards... heat. The result is a stable interior environment, and that's what Derek's builder/author friend seemed to find also. (What is the title of his book Derek?) According to Hait, the overall heat level can be regulated over a long period by allowing summer temperatures inside the house to rise or fall by using shutters or other shading or opening or closing windows and doors. (4) How much heat is lost? As in (1) that too would depend on many factors, which is one of the reasons non-specialized architects and engineers are wary of PAHS. Whatever the figure, it can't be that significant if what PAHS owners tell us about comfort is true. "We conventionally financed our home. Fannie Mae Lender Letter LL-2014-02 states, "Unique properties, which include various construction types and techniques, are also acceptable, including log homes, geodesic dome homes, and berm homes." Most bankers, appraisers and brokers are unaware of this clause and you'll need to bring it to their attention." - The difficulty is with finding comparable sales duo to the limited marketability of the dwelling. John, There will likely be no recent comparable sales, but the Fannie Mae publication gives latitude in what constitutes a comparable sale. Heat Type: Geo Thermal, Radiant (Flr) ..."
It sounds like the house has a hydronically heated floor and a propane-fired boiler; but who knows? Just saw this listing and remembered this thread with its discussion about PAHS real estate values. This underground home is about 40 minutes north of State College PA.
Martin, this is one of the problems with having a "unique" home, it's not easy to describe using the typical real estate listing format. Just out of idle curiosity i'd love to know where those two sets of stairs go. They seem to terminate in a CMU wall. I asked our contractor whether they were aware of this home; they weren't, but did tell me about another PAHS home on the other side of the county. Will have to take a drive to see both someday.